WinExpo Georgia will host the 11th International Wine and Spirits fair on June 14-16. 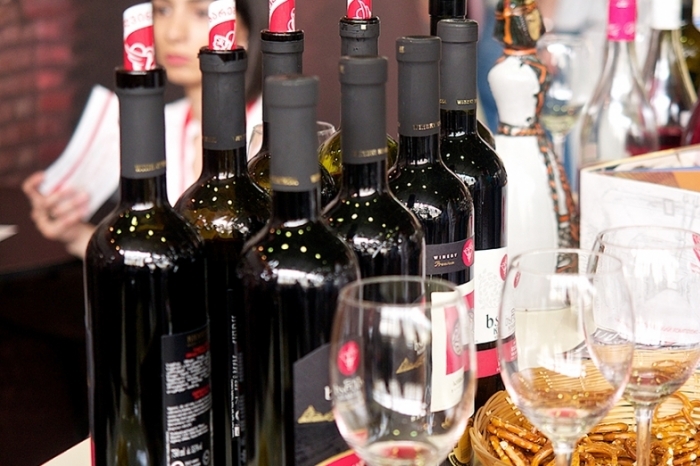 WinExpo is the only trade exhibition in Georgia focusing on wine, alcoholic beverages and services related to these sectors. According to the organizers, additional events will be held in parallel with traditional trade exhibition. “One of the largest exhibitions in the region will offer visitors a wide range of national and international wine and spirits and other similar products from across the globe,” said organizers. It is noteworthy that International Jubilee Competition – 10th Georgia International Wine Award will be held on June 11-12 in the frames of the fair. Organizers explain that WinExpo Georgia 2018 is an excellent opportunity for those who want to get familiar with winemaking, taste the best wine and alcoholic drinks from Georgia and other countries, meet winemakers, wine and other drinks potential suppliers, get acquainted with innovations and industry trends. Exhibition organizer is “Expo Georgia”, exhibition and competition is supported by the Ministry of Agriculture and the National Wine Agency.